Trevor J Boehm is the author of “Louie’s Saxophone”, 2012 EVVY Award for Legacy, 1st Place, for more information visit: www.louiessaxophone.com. Trevor’s sister Ali Boehm gave us this interview. Tell us a little about your brother Trevor. My brother was a talented and creative actor, writer, artist, singer, student, a loving friend, brother, and son, and a treasured soul. He was the type of person who was good at everything he involve himself with. He grew up in Minnesota and Colorado, and then moved to Chicago to attend Northwestern University as a theater major. 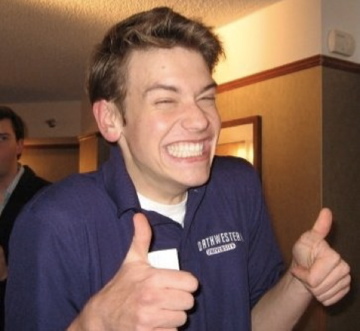 While attending Northwestern Trevor was diagnosed with bipolar disorder. To everyone but Trevor it was a relief to finally have an explanation for all of his odd behaviors that had been going on since a very young age. For Trevor it was like he wore a scarlet letter. This disorder proved more than he could handle and in November 2008 Trevor lost his battle. Tell us about Trevor’s book and how it came into being. While in high school, Trevor began attending a musical conservatory. My folks agreed to let Trevor go to the conservatory, but only if he got a job to pay for it. I think this was their attempt to teach him responsibility. Trevor tried a couple different jobs, none lasted more than a couple weeks before he had had it with the work force and decided he was going to win a scholarship contest offered through the conservatory. This is how “Louie’s Saxophone” came to be. And wouldn’t you know, he won the scholarship contest. So much for teaching responsibility. The manuscript was then filed away only to be rediscovered after we lost him. Why did you decide to independently publish Louie’s Saxophone? Initially my family was only intending on printing a couple copies of the story, spiral binding it, and distributing it among close friends and family. Our neighbor and good friend Mary Stern had recently navigated the self-publishing field with the release of her three book series, The Cowboy Dog Series, “Where Did All The Animals Go?”, “Country Critters”, and “Mud Boots”. Her involvement with the self publishing field was instrumental in our deciding to go this route. 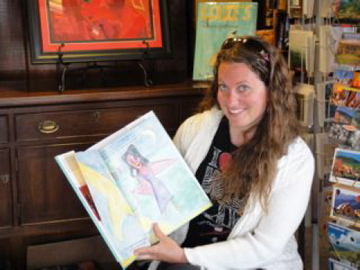 Without the help of Mary and her husband Regan Stern the book never would have been self published. And thank goodness it was! We were introduced to CIPA after the release of “Louie’s Saxophone”, through Sue Leonard of S(he) Writes Steamboat Springs. Our involvement has just merely begun. What’s next for you and the book? It seems that “Louie’s Saxophone” has taken on a life of it’s own. The sky is the limit as to where it heads from now. 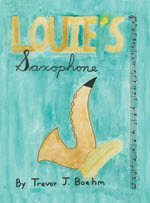 The book can be purchased through our website: www.louiessaxophone.com as well as at Kneading Hands in Steamboat Springs, CO. 970-846-9032. 100% of the proceeds from “Louie’s Saxophone” are being donated to a variety of organizations. Including: DBSA – Depression Bipolar Support Alliance, REPS – Reaching Everyone Preventing Suicide, NAMI C. Springs- National Alliance of Mental Illness, and Poogies Place.